Smart Craps is the ultimate software program and tool for advantage craps players. 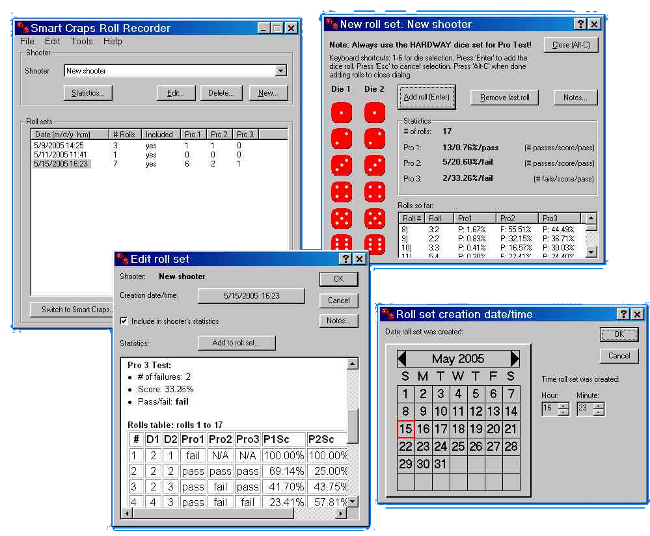 Simulate craps game using SRR (seven to rolls ratio), or use our new Pro Test dice control metric! 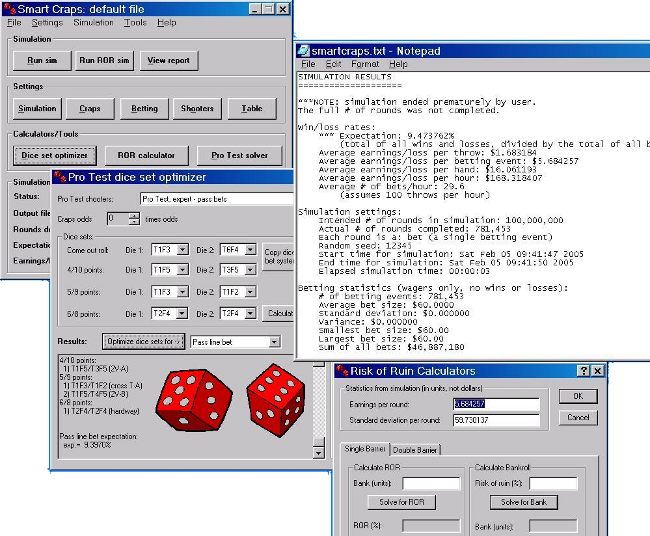 Prove with statistical certainty that you are controlling the dice, then use Smart Craps to find out your edge over the casino. This product only includes the Smart Craps program, and does not include The Roll Recorder, or the Betting Module. Note: Smart Craps is already included in Smart Craps Professional.